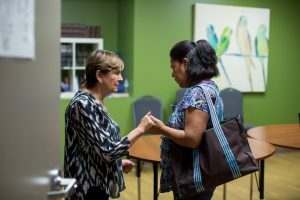 Hope Women’s Center is affectionately referred to as a ‘hospital’ by many of our clients. 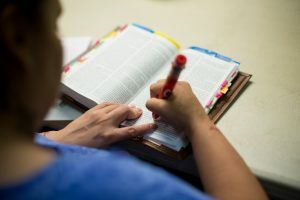 We’re not a medical facility, but our holistic focus on each woman’s physical, emotional, and spiritual needs makes our 5 centers wellness centers – places to heal and become whole. Our clients come to us in crisis, but their stories of who they are, what they come from, and where they’ve been are stories of trauma and pain that started early. They experienced cycles of adversity long before their current crisis, and usually, well before adulthood. When a person experiences 4 or more Adverse Childhood Experiences (ACEs), they’re statistically at a higher risk of physical health problems. Risk of chronic diseases such as cancer, heart disease, COPD, lung disease, and diabetes are 2-4 times higher for older adults with 4+ ACEs. What does this mean and what can Hope do? Our classes, mentoring program, and support groups are designed to help women not just manage stress, but confront it to promote healing, eliminate it by creating boundaries, or respond to it with healthier behaviors. Stories like J’s, stories of transformation found in the mercy and grace of Jesus Christ, are why we do what we do. What a powerful statement confession is against the lesser power of shame! Lifting shame by being vulnerable is a big part of Spiritual healing – at HOPE and at home. No one grows in hiding. And no one grows alone. The mission of HOPE doesn’t grow alone either. Because of partnership with individuals, businesses, community groups, and churches who are willing to pray for us, support us financially or with donations, and become our hands and feet as volunteers, HOPE is being extended further. Lives are being changed – one woman, one family, and one community at a time.